Phoenix – Super new releases of May, part three. Part three, the final installment. Finally!! Parce que c’est trés bon! Oui, the new Phoenix record is out. But, if you’ve been on board with the previous two new releases of May here, get on the bag son. 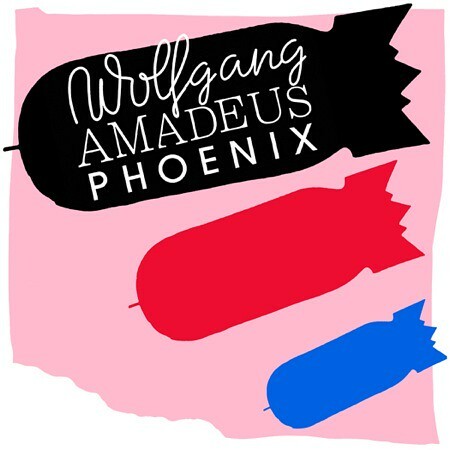 Wolfgang Amdeus Phoenix might be my favorite Phoenix record. Scratch that, it is my favorite. Again, like the previous two records discussed (The Wooden Birds, Magnolia and Jason Lytle’s Yours Truly, The Commuter), Phoenix not only have continued the reincarnation theme that seems so prevalent this May, but more, they have done something super special, complete and lovely with their new record Wolfgang Amadeus Phoenix. Sprite, multi-layered, poppy and webby like a giant tight rubber band, I think that you just need to listen. And, you can do so here on Myspace for free, of course. Or, you can purchase the record here on iTunes and support the band, or (gasp!) leave the house and find this record at your local indie music store. I don’t know why this superbe French band sings in English, but I’m glad that they do. Though even if they sung en Français comme Stereolab, I’d still be singing along to every word phonetically. Phoenix is on tour in the US now (dates here), so give it a go if you’re lucky enough to live someplace where this quartet of awesome is landing for a night. Some fun things always crop up on the Phoenix blog here, such as a few process photos from a screenprinted run of vinyl LP covers here (!) Don’t know who printed them, but I’d love to. Anyone out there know?